From the Big Bang Theory to Multiverses: How and Why Does the Universe Exist? How and Why Does the Universe Exist? A Religion of Scientific Truth? The Universe is 13.72 billion years old2. With scientific instruments we can directly see 400 billion observable galaxies in the Universe2. On average, each galaxy is 3 million light-years away from any other galaxy3, and most galaxies are collected together in super-clusters of thousands of galaxies4. A spiral galaxy such as ours typically has about 100 000 000 000 stars in it - 100 billion5. These stars, under the influence of gravity, consuming matter and contracting, sometimes explode into supernovae rather than collapse into a black hole. In any given galaxy, a star explodes about once every hundred years5. Our planet, the Earth, sits within The Milky Way galaxy, which is "part of the Virgo supercluster of galaxies, whose center is almost 60 million light-years away from us"4. Observational data of the speeds that galaxies are moving away from us led to the discovery that everything in the Universe appears to be getting further apart. And the further away things are, the faster they are moving away from us. This doesn't mean we are at the center of an expanding Universe and the easiest way to dispel that idea is to imagine a balloon with lots of dots drawn on it. One of those dots is our galaxy, the Milky Way. As the balloon expands the same phenomenon occurs: everything gets further away from any particular point. Nothing is at the center, because there is no center7. The fact that all galaxies are getting further apart was first realized by astronomer "Vesto Melvin Slipher (1875-1969), who calculated the speed at which 25 galaxies were moving" and then by Edwin Hubble8,9. It did not take long to realize that it must have been the case that if galaxies are all moving apart, then in history, they must all have been clumped together; whereupon the force of gravity will have been pulling on them intensely, as in a black hole. The force which propelled the Universe into expansion must have been radically powerful. And hence, the Big Bang Theory was born, in particular, the Belgian scientist Georges Lemaître (1894-1966) is given the credit for the idea when in 1931 he suggested that a "primeval atom" exploded8. Notable contributors to the theory have included "notable cosmologists such as George Gamow (1904-68) and Alan Guth (b. 1947)". Impressive advancements in technology have led to discovery after discovery which has proven the specific predictions of the Big Bang Theory, in particular from measurements of cosmic microwave background radiation (CMBR) levels, first discovered in 1965 by Arno Penzias (b. 1933) and Robert Wilson (b. 1936). Before the advent of looped advertisements, TV channels used to simply close out-of-hours. On TV signals received by satellite dish "the screen would revert to static. About 1 percent of that static you saw on the television screen was radiation left over from the Big Bang"10. The Universe is 13.72 billion years old. 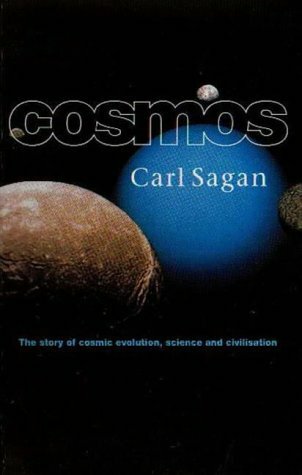 When Carl Sagan wrote "Cosmos"11 in 1995, the best data pointed to a Universe that was between 15 and 20 billion years old. But measurements improvements and by 2006 we had narrowed this down to between 12 and 15 billion years old12. Since then measurements show it to be exactly 13.72 billion years old13 since the event that generated the dimensions of space and time and propelled the Universe into existence8. "According to the latest calculation of Hubble's constant, which was performed using data gathered by the Hubble Space Telescope, the universe is now expanding at a rate of 73 km (around 45 miles) per second per megaparsec"8. The Universe is not "flying apart" by pushing its boundaries further away. It is being forced apart from within, so that the very expanses of space itself are stretching. That's why the expansion is measured in km per second per parsec. Hence with the balloon analogy, the increasing separation of galaxies isn't caused by the galaxies themselves, but by changes in the fabric on which they sit. A singularity is a point in time or space where the physical laws themselves have broken down. This physical situation is itself impossible, and for a long time many physicists argued against the very concept of a singularity. We thought, and some still do, that the appearance of a singularity in a model of the Universe is an indicator that the theory's mathematical formulas are flawed, and that unknown factors are disturbing the results. It was gravity, and black holes, that always produced the greatest problems. "Then, in a series of brilliant and embracing mathematical theorems, Penrose and Hawking proved that singularities were quite general and, under all reasonable physical conditions, unavoidable, once gravity becomes strong enough"14. While this work went on, many theorists had already realized that the Big Bang must have itself started with something that seemed incredibly similar to a singularity. Instead of a black hole sucking in a huge quantity of mass until the compression due to gravity caused a singularity, the big bang itself looked like the end-result: If the entire Universe was pulled into a black hole, the resulting singularity may well look exactly like the beginning of the Big Bang. Hawking has long argued that as a singularity is by definition a state where the laws of physics are broken, what comes out of it does not have any rational or logical structure. "This accords well with the belief that the primeval universe was in a state of maximum disorder (thermodynamic equilibrium)" and in this case "the big bang singularity simply coughs out a randomly arranged universe displaying no particular order"14. Some scientists say that "the universe must be such as to admit conscious beings in it at some stage"15. On what grounds can scientists justify such a stance? In the early decades of quantum physics, many strange effects were observed that were poorly understood. Quantum physics is still supremely odd. One of the early strands of thought was made famous through Erwin Schrödinger's thought experiment, now known as Schrödinger's Cat. It appeared that fundamental aspects of reality only resolved themselves into concrete form if observed and until that moment, things remained mere statistical probability and sometimes even particles behave as if they are in two different states at once: Superposition remains a fundamental part of quantum physics. The Universe itself remains unstable, unset, volatile, until such a time as it is observed. And this means that it just wobbles around in all possible configurations until the configuration that spawns valid observers becomes dominant. Then, hey presto, what springs into solid existence is a Universe that will spawn intelligent beings. The "law of conservation of energy" holds that energy cannot be created nor destroyed, only changed in form. This means that although everything in the Universe may be destroyed, the total energy stays the same. This fundamental law of thermodynamics is one of the most important laws in physics, and is applicable at all scales, from the quantum, to the large scale sciences of engineering and chemistry. It is so important that most physics think that this law can simply never be broken. Many theists have argued that the scientific laws of thermodynamics, in particular the conservation of energy, imply that there must be a God. If energy cannot be created nor destroyed, they say, then this is proof that the entire spectacle of reality has to be the exercise of a creator God. I.e., a God that creates all of the energy, and then, who creates the laws of thermodynamics. On the face of it, it is certainly one way to explain away the existence of all energy. But it turns out that the explanation isn't necessary, because the current evidence shows that there is no contradiction to the law of conservation of energy, and it all comes down to gravity17. You expend energy to climb out of an energy well, and, if you add up all the energy of objects and masses and take into account gravity and balance this against the gravitational power of black holes and galaxies, we find that the net value of the energy involved is zero. In other words, if all of the energy in the universe can be accounted for as being matched equally by gravity, it appears that there is actually no created energy. “The law of conservation of energy, also known as the first law of thermodynamics, requires that energy come from somewhere. In principle, the creation hypothesis could be confirmed by direct observation or theoretical requirement that conservation of energy was violated 13.7 billion year ago at the start of the big bang. "God, the Failed Hypothesis: How Science Shows That God Does Not Exist"
"According to this point of view, there is an ensemble of universes of which ours is but one member. The universe we perceive is only one of a huge, perhaps infinite, collection of universes. [...] Although the overwhelming majority of these universes are unsuitable for life"21. In an infinite set of universes, each with different laws and properties, then every possible Universe must exist. 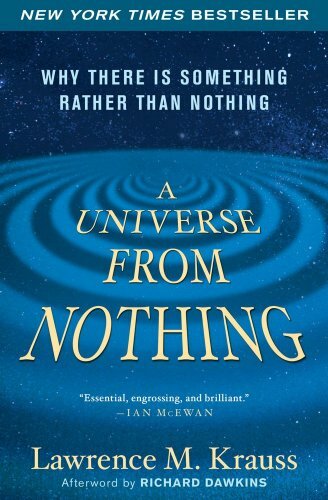 We are "guaranteed [...] that some universe would arise with the laws that we have discovered. No mechanism and no entity is required to fix the laws of nature to be what they are"22. There is no design-for-life - some versions of the Universe just happen to be able to support life, because all possible configurations of the Universe exist. It seems a safe bet that philosophically minded aliens have a tendency to sit in their Universes and think, "this one was designed for us!". They are clearly wrong. "The universe will eventually begin to contract, falling back on itself in a gigantic cataclysm known as the 'big crunch'. Some physicists have speculated that the highly compressed cosmos, rather than imploding to oblivion at a spacetime singularity, will 'bounce' at some enormous density" perhaps resetting universal constants and rules to a random value15. Carl Sagan writes that "scientists wonder about what happens in an oscillating universe at the cusps, at the transition. [...] Some think that the laws of nature are then randomly reshuffled [from] an infinite range of possible natural laws"23. This is like the multiverse theory except that there is only ever one Universe, which has existed in an infinite series of configurations. Some of those instances support life. There is no coincidence that we exist on one that allows life to exist - it was an eventual inevitability. No design was required, just pure randomness. But there are some problems with this idea. The resultant laws of physics cannot be completely random, in this arrangement. If the existence of a new Universe is dependent upon the collapse of another, then, it must be the case that every Universe eventually collapses. Carl Sagan worried about this too, saying that all it would take is for one Universe with a weak gravitation force to come to exist for the cycle to break, because a fly-away Universe that never contracts would never allow another big crunch to occur23. So if an oscillating universe scenario is correct, it seems perhaps that some law of gravity may remain constant, or that the possible range of laws is constrained. But such a constraint requires some arch-universal-laws to survive each singularity. The marsh of contradictions and complexities lead me away from the idea that an oscillating Universe can be used to explain the laws of any given Universe, but merely moves the goal-posts further away. An Oscillating Universe also requires that the Universe is "closed", that is, it will eventually stop expanding and gravity will make it contract, resulting in a "big crunch". But the evidence is not in favour of the Big Crunch theory. 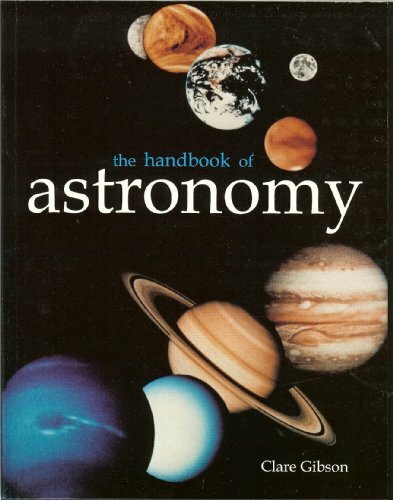 In 1997, calculations of the total mass of the Universe revealed that the Universe's mass was not enough to reverse acceleration and cause a contraction, and "in 1998, astronomers studying type 1 supernovae in distance galaxies concluded that the universe's rate of expansion is accelerating rather than decelerating"24. One particular multiverse theory results from our observations of the bubbling chaotic foam that appears the quantum level: the continual thick soup of spontaneously created particle and antiparticle pairs seems to indicate that creation is continually occurring all around us, on the tiniest scales imaginable. Bubbles of reality come into existence for a blink of a second, and then self-annihilate. Now, our Universe may well be such a bubble, with all the dimensions of time and space being a temporary blip on a radar. As subjects of that Universe, the flash in the pan appears to be a Universal lifetime. Perhaps what we are witnessing at the quantum level is an almost infinite series of Universes being created and destroyed; each with its own fundamental laws and unique Universal constants and properties. Our Universe is one such balloon, existing for a fraction of a moment inside another Universe, all of our energy and gravity being just one temporary fluctuation. In all of these myriad existences, some will find themselves suitable to harbour life, and many won't. From an insider's point of view, most of these Universes will be very short lived - "In order for the closed universes that might be created through such mechanisms to last for longer than infinitesimal times, something like inflation is necessary"26. 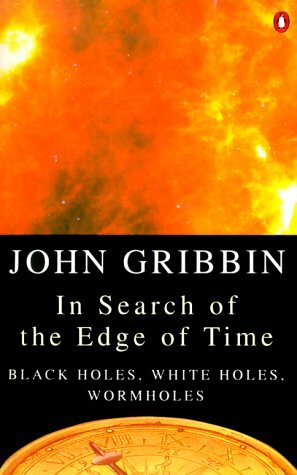 Authors such as John Gribbin in "In Search of the Edge of Time" (1995)27 describe such quantum foam in great detail, and although it is highly speculative, there is nothing in the laws of physics which prevents such a kaleidoscope from existing, although it seems theoretically and practically impossible to ever investigate such a closed-off world. The undirected and chaotic bubbling froth of random fluctuations that occur at the quantum level and may themselves be responsible for the entire existence of our inflated Universe have no cause or reason; each Universe itself is random and unforseen. Given all of this, then there "is no prescribed cause for our universe"28. Dr Steven Weinberg wrote in 1977 that "the more the universe seems comprehensible, the more it also seems pointless"29. Conscious life may be its most wonderful asset and an amazing emergent property of its slow ageing, but the cruel gothic irony is that our lives are temporary and fleeting, and our understanding of the Universe, and even of ourselves, can only ever be superficial compared to all there is to know. These thoughts are the source of supreme sadness, but also should inspire us to strive harder, to live life better, for others, for the betterment of our species especially through science, so that we may one day fight back a little bit against the eternal ravages of death, by living lives worthy of sentient and benevolent beings, as best we can. That maths is both an artform, and a beautiful enterprise, is something that is often-repeated by those in-the-know. Likewise, it is a common theme that those who enjoy the sciences - the challenges of scientific theory - often have greater feelings towards their chosen fields than the cold experience of technical number-crunching pitted with moments of inspiration. The ongoing search for truth bestows upon its adherents a glowing satisfaction and awe at the wonder of the universe. Reality is simultaneously complex and simple, engaging and passive, black and white and colourful. Out of simple laws comes complexity, and out of the chaos of experimentation slowly comes understanding. The scientific methods of understanding the world can involve a person completely and fully; the intellectual and rational commitment to hard work and truth are obvious. Not so obvious is the emotional wonder and adoration that arises within those who seek the truth. Philosophers and scientists, as Dawkins' points out, have had a tendency towards an almost mystical and pantheistic love of the fabrics of reality. 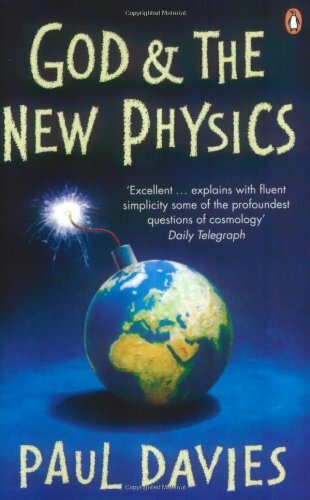 Steven Weinberg, professor of physics and astronomy, says in The First Three Minutes (1977) that "the effort to understand the universe is one of the very few things that lifts human life a little above the level of farce"32. Understanding gives meaning and value to life. 5. A Religion of Scientific Truth? The cold hard facts of science can seem inhuman, belittling and sometimes even demoralizing. The unfortunate truths of the ultimate facts of life, thought and teleology have led some laypeople to presume that such knowledge leads itself to nihilism. This concern is not, however, accurate. Scientists, cosmologists, physicists and other researchers often find that the universe is inspiring, the more they learn. Prof. Richard Dawkins, the foremost public evolutionary biologist, explains that such abstract concepts are irrelevant to our spiritual existential problems. Most scientists develop feelings that are the opposite of nihilistic. Some come to conduct the search for truth with heartfelt sanctity. Such a universe-admiring and science-embracing religion does exist! 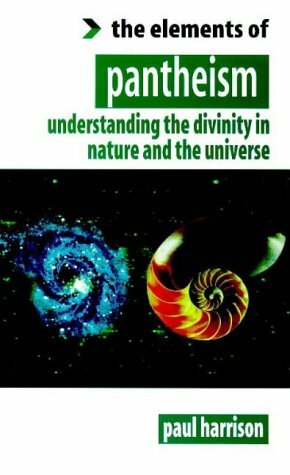 Paul Harrison founded the World Pantheist Movement in 1997. Although the word 'theist' is used in the title, scientific pantheism is not a theistic religion. The title merely denotes that all of reality is a divine total - God is not a supernatural being in its own right. Religionists often struggle with the idea that Human life is the result of unguided natural processes. Some arguments that theists make for the existence of God center on the idea of God as the "First Cause". In other words, God is much like the uncaused big bang, but, with a great many human-like personality traits mixed in, alongside properties such as "all-knowing" and "all-powerful". The Anthropic Coincidences: Was the Universe Fine-Tuned for Life? (1984) God And The New Physics. Penguin 2006 edition. Davies is a Professor in theoretical physics who has published ground-breaking research. A paperback book. (1976) The Selfish Gene. 30th Anniversary 2006 edition. Published by Oxford University Press, Oxford, UK. A paperback book. (2006) The God Delusion. Published by Bantam Press, Transworld Publishers, Uxbridge Road, London, UK. A hardback book. Drachmann, Anders Björn. (1860-1935) Professor of Classical Philology in the University of Copenhagen. (1922) Atheism in Pagan Antiquity. Gutenberg Project ebook. Originally published 1919 in Danish, Kjoebenhavns Universitets Festskrift. Translated by Ingeborg Andersen. An e-book. (1999) Pantheism. Published by Element Books. A paperback book. Krauss, Lawrence. Lawrence Krauss is Foundation Professor in the School of Earth and Space Exploration and the Physics Department at Arizona State University, as well as Co-Director of the Cosmology Initiative and Inaugural Director of the Origins Project. (2012) A Universe from Nothing. Amazon Kindle digital edition. Published by Free Press, New York, USA. An e-book. (2007) God, the Failed Hypothesis: How Science Shows That God Does Not Exist. Published by Prometheus Books, NY, USA. Stenger is a Nobel-prize winning physicist, and a skeptical philosopher whose research is strictly rational and evidence-based.